Richard Lewis Photography Tuition: The big stitch up! Blog > The big stitch up! 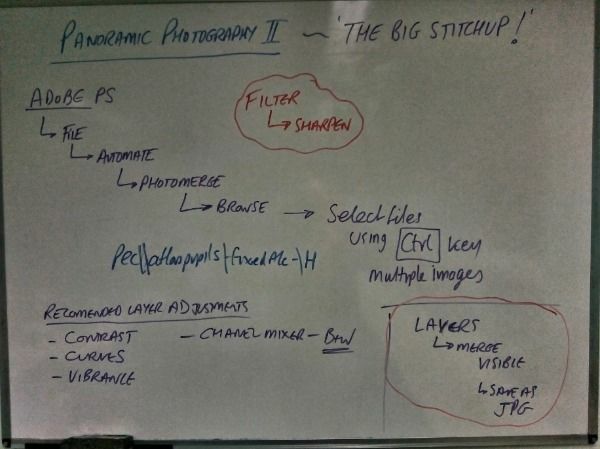 Following on from last weeks session, where we looked at the techniques for capturing panoramic image sets ... Last night we were stitching images in Adobe PS4 to create panoramas, and there were some great ones ..